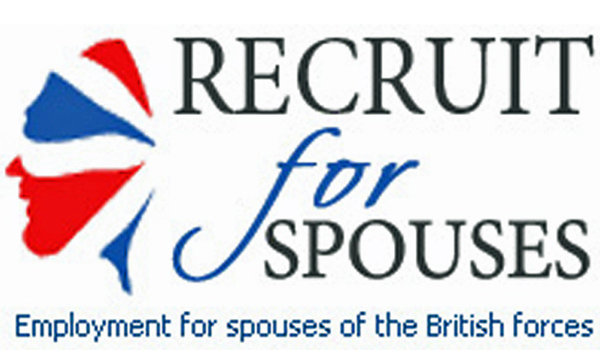 RECRUIT for Spouses, a recruitment agency which helps military partners maintain their careers, is the latest winner of a Big Society Award, Prime Minister David Cameron has announced. The initiative, founded by Heledd Kendrick, a former journalist who married a solider, has been recognised by Prime Minister David Cameron for its work to bridge the military and business communities, finding rewarding employment for military spouses within organisations who might otherwise overlook this group. The Big Society award recognises the success of the recruitment agency which is run by volunteers and has helped thousands of partners, wives and husbands into work and to keep their careers going through their partners’ deployments. Prime Minister David Cameron said: “The families of our armed forces make extraordinary sacrifices everyday as they support husbands, wives and partners through deployment after deployment. “The Government is doing more to support these families. It’s inspirational to see Heledd do so much to help thousands of military spouses start or maintain fulfilling careers. The agency was set up in 2009 as a social enterprise. Heledd explained: “I realised that amongst the plethora of military businesses and charities offering career advice to serving personnel and veterans, there wasn’t much support for the partners of those still serving. “Recruit for Spouses aims to change this perception from an employer’s perspective. Once businesses realise the undiscovered talent that is available to them they are incredibly supportive – it’s not about special treatment but that those attached to the military through their partners are employed on their merits and skills. The agency has the full support of the military, as well as personal appraisals from men and women who are serving.